And why not? 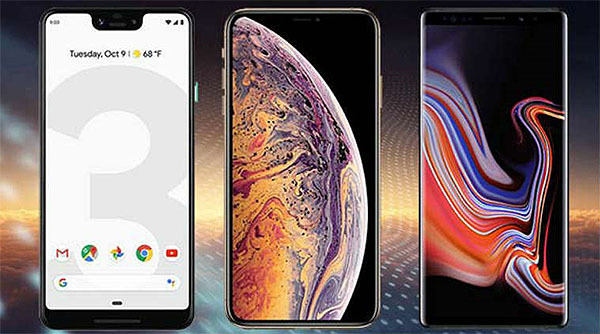 New models keep coming at a relentless pace, the notch is here to stay, aspect ratios are changing, and cameras keep on improving. There's also growing financial disparity between premium handsets and mid-range champions. Indeed, there has never been more choice. The phone is so integral to our everyday lives that our buying decisions are a fascinating subject. So let's revisit the topic and ask: which mobile phone do you use? We'd be particularly interested in hearing why you chose that particular model, how you rate it, and whether or not you feel the need to upgrade anytime soon. Sound off in the comments facility below. HEXUS Week In Review: Blade 15, H1707, Matrexx 70 and Trident Z Royal HEXUS Week In Review: ROG Strix XG49VQ, Aorus 15 and more Apple and Qualcomm end litigation battle Sony PlayStation 5 will deliver "fundamental changes" in gaming QOTW: Which games consoles do you own?